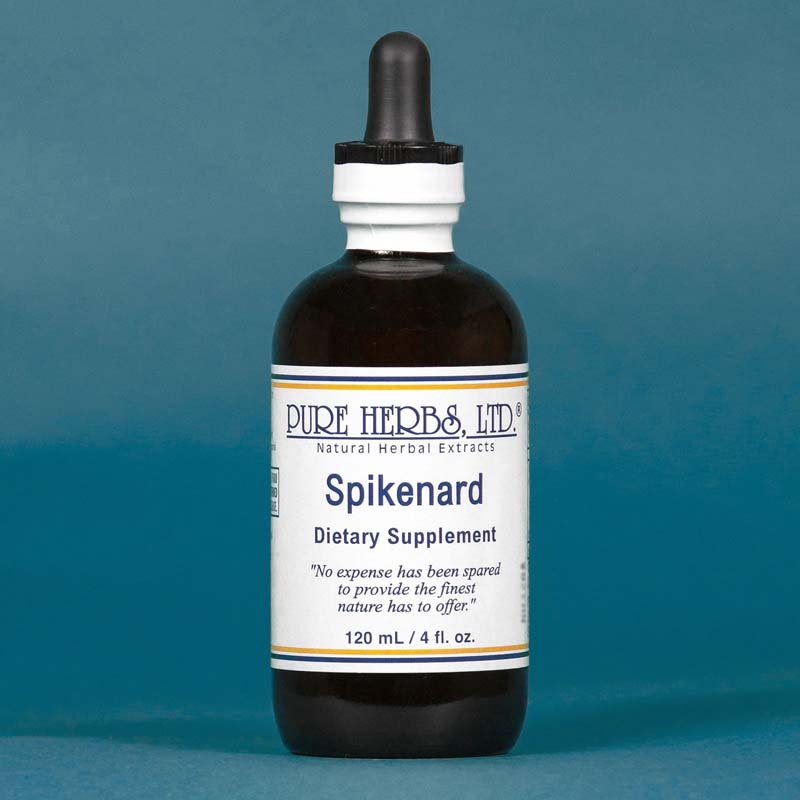 SPIKENARD - Is a member of the Ginseng family of plants and part of Native American Indian medicine. One of its most important properties is in the area of purifying the blood. This alleviates many forms of acne conditions. Spikenard reduces uric acid build up, which can result in muscular discomfort, sore joints and gout. Spikenard is taken during the last 3 months of pregnancy, and in difficult cases, the last 6 months of pregnancy, to shorten labor and provide for an easier process of delivery. The further virtues of Spikenard lie in its value as a remedy for cough and chest complaints - to cut loose congestive mucus. Spikenard's proof as a time-honored old work horse, is in its inclusion in so many cough remedies both ancient and modern. * DOSE:40 to 80 drops, 3 times per day for blood purification. 80 drops per day if pregnant. In cases of muscular discomfort, sore joints or gout, 80 drops, 3 times per day. And, additionally, rub into affected areas, in quantities needed to cover the area, 3 times per day. If cough or chest complaints, 40 drops hourly, while awake, until relief; also rub liberally into chest area and cover up to sweat it out and break congestive mucus loose.